Those who know Peter well will recognise the pronouncement of “happy birthday” every time a glass is raised. 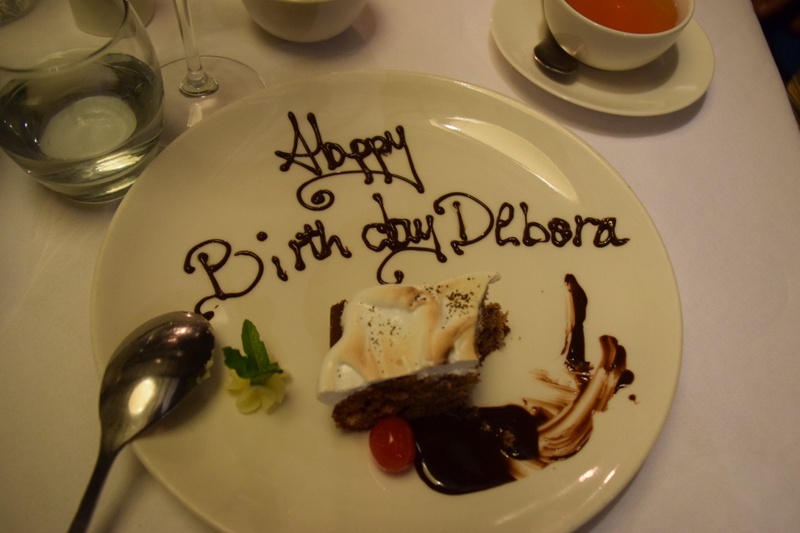 It has become our accustomed joke… Explained to strangers in our midst as “well, it is someone’s birthday, somewhere”. 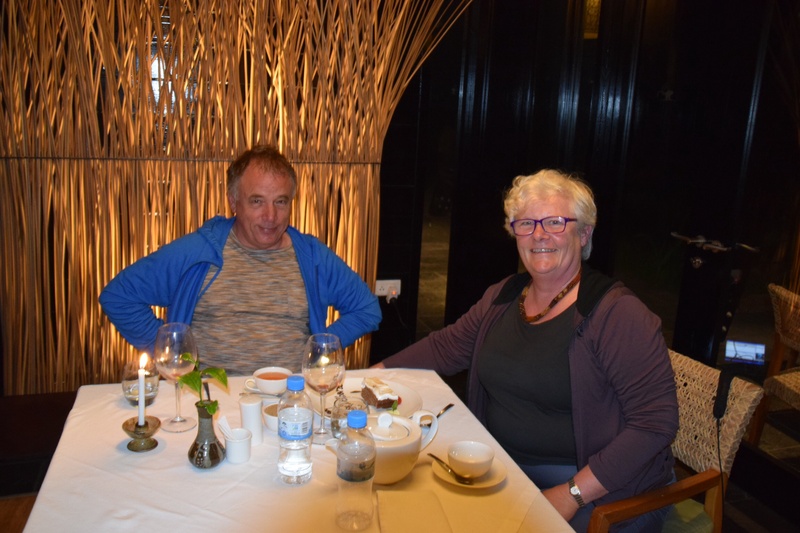 So when Peter said “happy birthday” as we raised our pre-dinner wine glasses on our first night at Nyungwe Lodge, I thought nothing of it. Thank you, I said, as I usually do! But in a luxury lodge, walls have ears. And despite my protestations that I didn’t want dessert after dinner, our waiter arrived with two spoons, and a special request that we just try something small…. This! Well, I didn’t have the heart to tell them it wasn’t my birthday at all! Hope we didn’t look too embarrassed in this photo they insisted on taking of us on my faux birthday. I guess I should be pleased they didn’t sing as well!